The Phillips Exeter Academy Field House is a 68,000sqft building, and parking garage underneath that began construction November 22, 2016 and completed Phase I by April 10, 2017. Phase II began May 21, 2017 and completed July 22, 2017. 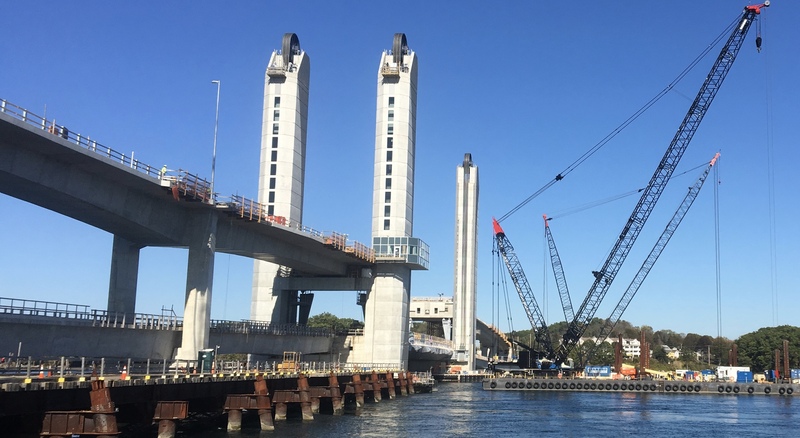 This project used a total of 24,945 man hours, 7000+CY of concrete and 495 tons or rebar. This project being on as tight of a schedule as it was went straight through the winter of 2016/2017 making it a challenging work environment. The scheduling and coordination of materials, placements, and sequencing was key in order to maintain the schedule in place. This building was constructed with 3000+CY of cast in place footing and walls. The footing were a combination of spread footing ranging from 13’x 13’ x 2’6” to 18’x20’ to continuous footing 3’wide x 18” thick. The foundation walls were 11’ high x 1’5’ thick with a brick shelf 16” to 8-7” deep. Southern NH Pour Concrete also constructed a total of sixty six interior columns on top of 13’x13’x2’6” spread footings.